Bell 2 Lodge - A modern wilderness resort. The Skeena Mountain Range and Bell Irving River provide a dramatic backdrop for this unique Northern BC location. Comfortable accommodation, tasty food options and everyday amenities make Bell 2 Lodge a must stop for travelers on their way to Alaska and the Yukon via highway 37. Come in for a quick re-fueling pit stop, or stay the night. We’ve got you covered. 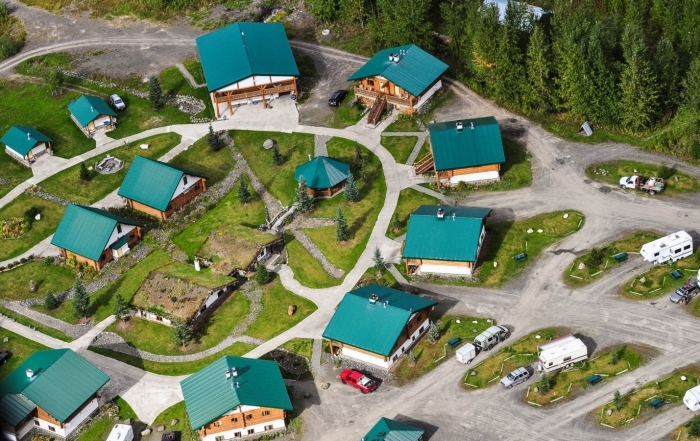 Bell 2 Lodge offers deluxe chalets, standard rooms, crew rooms, RV lots and camping sites. In the winter months the lodge is home to Last Frontier Heliskiing. It is considered to be one of the premier heliskiing operations in the world and boasts the largest single heliski area on the planet! Both the owners and management of Bell 2 Lodge have at their core a driving desire to offer great hospitality. We have developed Bell 2 Lodge predominantly with the heliskier in mind, but by default summer visitors are also able to enjoy these facilities and philosophy. Operating completely off the grid comes at a cost. We generate our own electricity, all communication is via satellite and we need to transport anything (and everyone) that you find at the lodge great distances. While you’ll find our prices slightly higher than you would expect to find in a town, once you’ve seen the operation in action you’ll appreciate why. Whether you are making just a quick stop or staying for a week, we are committed to ensuring you receive great value. We look forward to the prospect of seeing you at our northern oasis. Coffee Shop 7:00 AM – 10:00 PM daily. 8:00 AM – 8:00 PM daily. Fuel 7:00 AM – 10:00 PM daily. 8:00 AM – 8:00 PM daily. Summer – 7:00 AM – 10:00 PM daily. Winter – 8:00 AM – 6:00 PM daily. Bell 2 Lodge is situated in Northern British Columbia, directly on the Stewart-Cassiar Highway [Hwy 37] at kilometer mark 248. We are located 96km North of Meziadin Junction and 241km South of Dease Lake. Stay in our log chalets or camp with us. Check out our wild photo gallery. 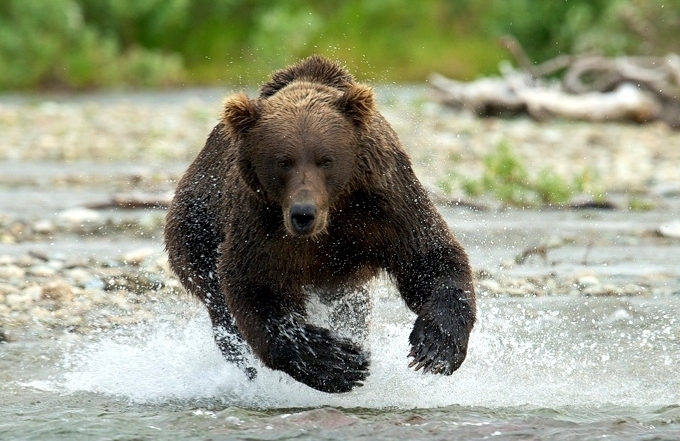 How to survive bear encounters. 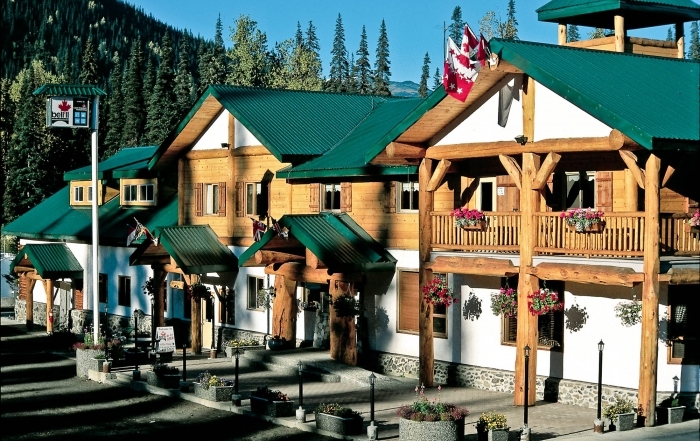 Bell 2 Lodge is a full service resort situated on Highway 37, 360km North of Smithers, BC. The property features log chalet accommodation, camping facilities, restaurant, coffee shop, gas station and heli pad with refueling facilities.